The southern half of the “two Orange counties.” Courtesy of Wikimedia Commons. 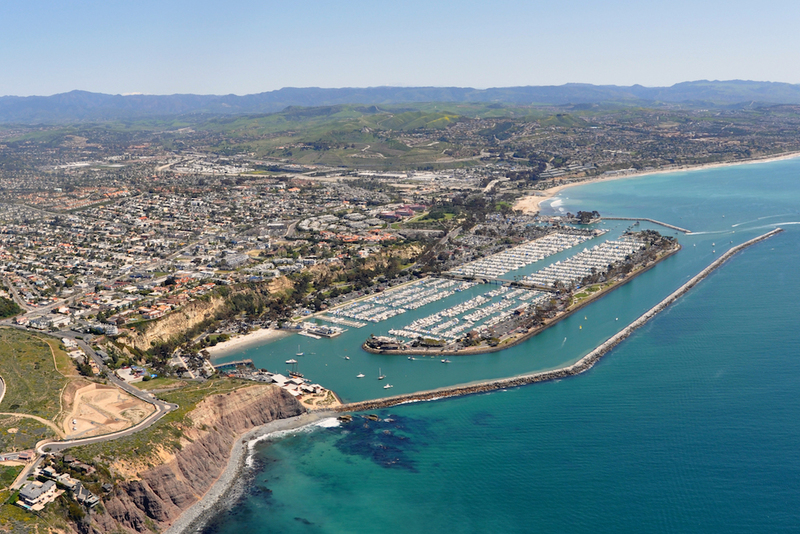 By the statistics, Orange County looks as flawless as any of the toned bodies on the beach at Corona del Mar. It has a GDP greater than that of smaller European countries like Greece or Portugal; unemployment is at just 3 percent; and the median income approaches $90,000—which is $25,000 higher than the state figure. But O.C.’s economic beauty is only skin deep. Beneath the surface lies a heart that is old and beating too slow. Orange County’s comfortable wealth may be robbing it of its dynamism. The wealth we hold in our housing is central to the problem. Orange County, like California itself, should be a place where everyone wants to live. But it’s so expensive to live there that, for most of the last two decades, more people have been leaving the county for other parts of the U.S. than have been moving into it. Orange County is also a place where you should want to raise your kids; the schools are good, and dropout rates are low. But, with the high cost of living and declining births, school enrollment and the number of young children have fallen. One result: Orange County is in danger of getting dumber. Some regional analysts have warned of a “brain drain,” as the county’s millennial population shrinks. That means Orange County is not developing its next generation of residents and workers—and is in fact losing many of the young people who graduate its universities with technical degrees. In some ways, there may be too many jobs there. National political reporters, as they descend on the political battleground, lazily call Orange County a giant suburb, but it actually profiles more like an urban job center. While spending considerable time in the county recently, I was struck by all the office space under construction: more than 1.5 million square feet. The nature of those jobs contributes to the county’s problems. Orange County hasn’t developed the robust and innovative tech sector of other wealthy American places. Instead, what distinguishes Orange County is the high percentage of its workers who are in high-paying professional services posts, from finance to accounting. But those higher-paying job categories are stagnating, while there is robust growth among much lower-paying job categories—in tourism, leisure, construction, and, to some extent, healthcare. The real growth in jobs in Orange County in the next decade, according to state projections, will be low-paying ones in food preparation and service, personal care aides, and retail sales. … those higher-paying job categories are stagnating, while there is robust growth among much lower-paying job categories—in tourism, leisure, construction, and, to some extent, healthcare. And that puts pressure on a major Orange County weakness that also hasn’t been much of an issue in this fall’s political campaigns: transportation. Orange County, despite being a job center and a crossroads between counties in Southern California, has been irresponsibly cheap when it comes to building its infrastructure. Orange County residents declined to build an international airport at El Toro when they had a chance. The limited train service in the county doesn’t connect the different parts of the county well, and even its freeways mostly run north-south. It’s nothing close to the center of transportation it should be. Lack of connection contributes to a divide. Jerry Nickelsburg, the director of the Anderson Forecast, says that Orange County is not one economy but two. There is the low-paying leisure and hospitality economy dominated by Disney on the north side of the county. The other involves finance, aerospace, and some tech around Irvine and Newport (with a branch in Seal Beach). That north county economy has been getting national attention, via political and union organizing to raise the wages of people who work in and around the Disney complex. But Orange County’s richer southern precincts are aging rapidly into irrelevance. Those communities struggle to find enough construction workers for building projects, especially those that serve the surging population of senior citizens. Such trends, if not reversed, do more than explain today’s political divisions. They foretell a more divided future for one of California’s most beautiful places. How can the poorer north county get the resources it requires when O.C.’s politics and economy are dominated by the richer south? And what kind of representation is possible when more of the people who do the work in Orange County don’t live there? A recession could further darken the picture, especially if it cuts hard into the professional services sector. Economic slowdown would probably further hurt manufacturing (of things like aerospace parts and nutritional supplements) and local government sectors that have seen declines in employment. A more fundamental problem is the lack of dynamism. The rate at which Orange County creates new businesses has been on a long-term decline. This reflects aging and slowing immigration in the county. Since those same trends exist across the state, California could become much less vital and entrepreneurial, too.